Seniors on the Move - "Mississippi River Town Tour"
Wed, Sept 11 7:00 a.m. - 7:30 p.m.
Ramble down the Mighty Mississippi with us as we travel to Muscatine. 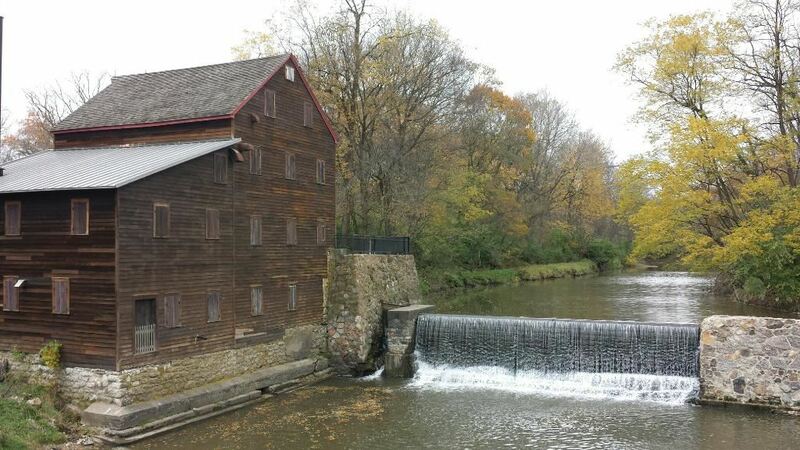 Our first stop is in Wildcat Den State park for a tour of the Pine Creek Grist Mill. Lunch will be at Mamma Mia, a fantastic riverfront restaurant overlooking the Mississippi. Afternoon visits will include the Muscatine History and Industry Center, as well as the Muscatine Art Center. 7:00 a.m. Depart from southwest corner of Walmart parking lot, 1001 73rd St, Windsor Heights. 7:15 a.m. Second pick up in parking lot just to the east of Bonanza, 5029 NE 14th St., just north of I-80/35. 10:00 a.m. Arrive at Pine Grist Mill for a tour of the mill and an 1877 one-room schoolhouse. 11:30 a.m. Lunch at Mamma Mia, Italian restaurant with time to shop the Riverfront after dessert. 2:00 - 3:20 p.m. Tour of Muscatine History and Industry Center. 3:30 p.m. Tour of the Muscatine Art Center. 4:30 p.m. Depart for home. 7:15 p.m. Estimated arrival back at Bonanza. 7:30 p.m. Estimated arrival back at Walmart.